Following this tutorial will help you to get rid of 22find.com malware from your system. Actually 22find.com is a very annoying browser hijacker which may easily get into your computer. This attack is in particular clear when you open your browser. As a result of the malicious amendments initiated by it, this 22find.com website is now set in the homepage of your browser. Plus, it is also used as the default search engine of your browser (the search may also be redirected via search.22find.com). To uninstall 22find.com regularly from your PC might not really be effective. This browser hijacker has a lot of related programs which might not allow you to uninstall it easily. This is why, in our opinion, the first and very important step for you is to scan your PC with a reliable security software. 22find.com browser hijacker is most commonly brought into PC as a result of you installing some other applications. There are very many free programs today which are by default bundled with a lot of useless extras. 22find.com browser hijacker is just one of such extras. So, if you deal with free programs downloaded from online website, please make sure you don’t install any unwanted extras into your system. Always select the option of a custom installation, instead of the standard one. This is how you will be able to uncheck all unwanted bundled installations from being implemented. 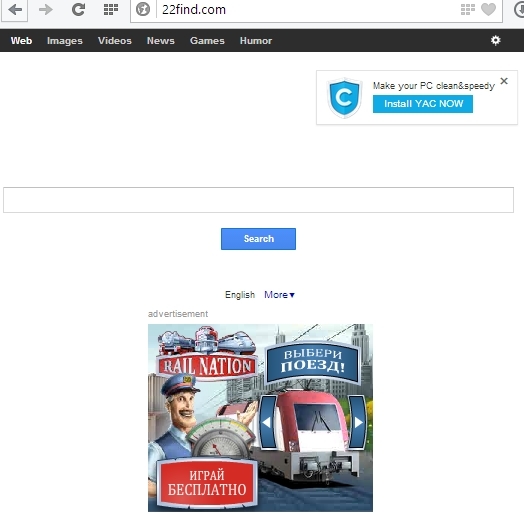 We recommend you to immediately remove 22find.com hijack from your browser. Its presence is the real isue for browsers like Google Chrome, Internet Explorer and Mozilla Firefox. 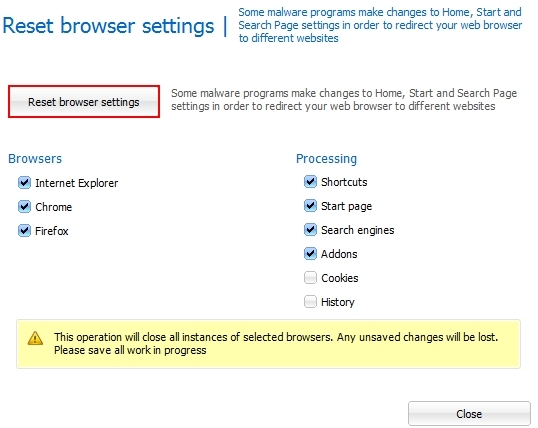 Because of this hijack on your PC the browser functions very slow. Plus, you might also see a lot of annoying ads and sponsored links displayed together with the search results. Clicking them is very dangerous. We recommend you to immediately follow the uninstall guide to delete 22find.com virus from your system as explained below. Step 1. 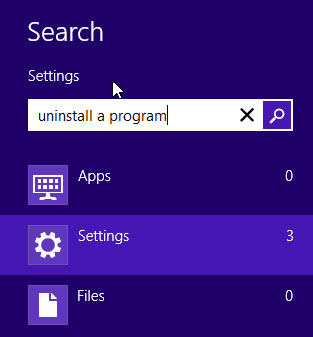 Uninstalling 22find.com from the Control Panel of your computer. Make sure that all your browsers infected with 22find.com are shut down (closed). Uninstall 22find.com hijack from your PC. To do it, in Windows XP click “Remove” button related to it. 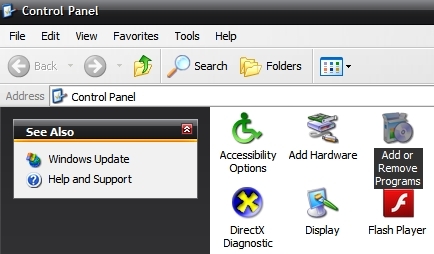 In Windows Vista and 7 right-click 22find.com with the PC mouse and click “Uninstall / Change“. Uninstall 22find.com potentially unwanted program (PUP). 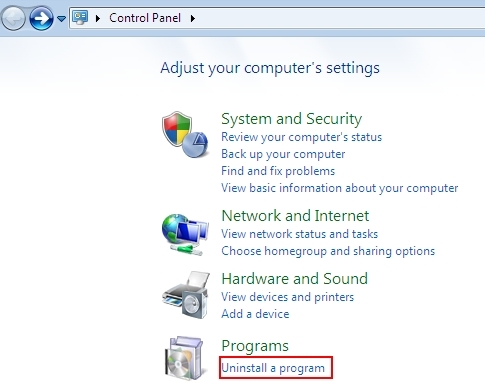 To do it, in Windows 8 right-click 22find.com with the PC mouse and click “Uninstall / Change“. Step 2. Removing 22find.com from the list of add-ons and extensions of your browser. 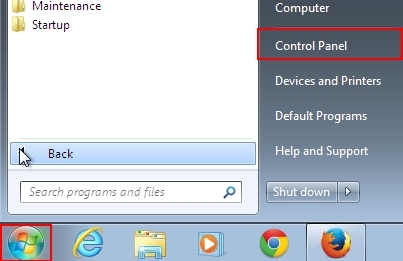 In addition to removal of 22find.com browser hijacker from the Control Panel of your PC as explained above, you also need to remove this hijacker from the add-ons or extensions of your browser. Please follow this guide for managing browser add-ons and extensions for more detailed information. Remove any items related to this particular hijacker and other unwanted applications installed on your PC. Step 3. Scanning your computer with reliable and effective security software for removal of all remnants related to 22find.com hijacker. At the end of scan click “Apply” to remove all infections associated with this hijacker. Important! It is also necessary that you reset your browsers with Plumbytes Anti-Malware after 22find.com hijack removal. Shut down all your available browsers now. Ads by Media View – how to stop them? Thank you! This information has been very helpful. I had this 22find.com everywhere in all my browsers. Man, this really annoyed me. Following your guide was a great advice. I removed the infection. So, I am proud of you, really.